The term ‘locality’ is used in different contexts with different meanings. There have been claims that relational quantum mechanics is local, but it is not clear then how it accounts for the effects that go under the usual name of quantum non-locality. The present article shows that the failure of ‘locality’ in the sense of Bell, once interpreted in the relational framework, reduces to the existence of a common cause in an indeterministic context. In particular, there is no need to appeal to a mysterious space-like influence to understand it. 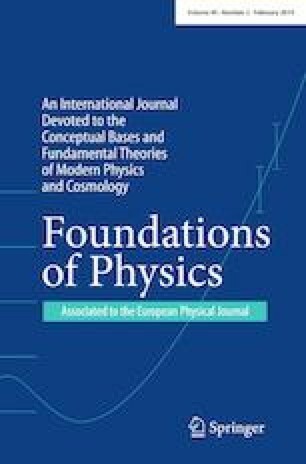 The ideas presented in this paper emerged during the Rethinking Workshop 2018 organised with the support of the Basic Research Community for Physics (BRCP). We thank especially Flavio Del Santo, Johannes Kleiner and Robin Lorenz for useful discussions. Daniel Martinez is also thanked for proofreading. We acknowledge the OCEVU Labex (ANR-11-LABX-0060) and the A*MIDEX Project (ANR-11-IDEX-0001-02) funded by the ‘Investissements d’Avenir’ French government program managed by the ANR.